Have you noticed the bridges sprouting up all over Rio recently? The lack of good public transport, and the coming of major events in 2014 and 2016 has finally nudged the authorities into doing something about it. Those same events have had a major effect on financing of public works, and suddenly money has become available to pay for all these expensive highways, metro lines, bridges, viaducts, fly-overs, underpasses, tunnels etc etc..
Rio’s engineers and architects have also definitely developed a liking for cable stayed bridges (ponte estaiada), very similar to suspension bridges, and have built a beautiful example over the channel between the Ilha do Fundão and the Linha Vermelha, not far from the exit to the Linha Amarela and Bonsucesso. 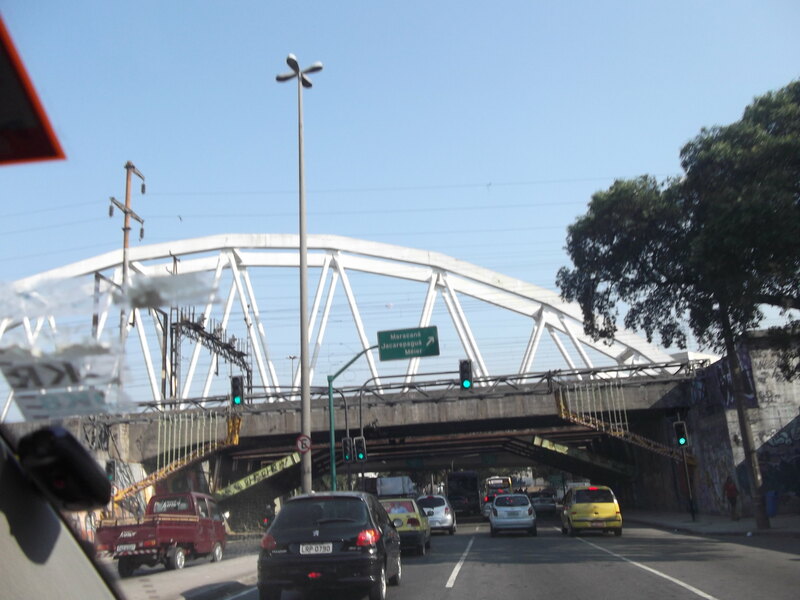 The bridge is known as the Ponte do Saber, and the traffic it carries is basically students from the Federal University – UFRJ. It can’t carry much more, as there are only two narrow lanes, both going in the same direction – off the island. 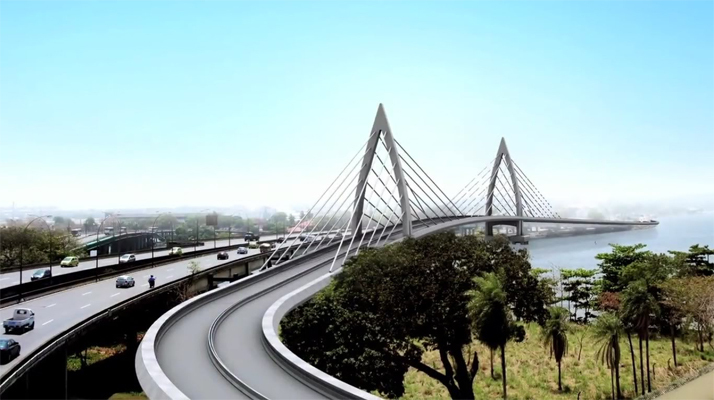 The other bridge off the Ilha do Fundão, known as the Ponte da Ilha do Governador, connects up the Transcarioca to the airport, and will be much wider, as it has to carry the BRT buses in one lane, and cars in the other, going both ways, four lanes in all. It should be completed by the end of 2012. The Transcarioca comes all the way from Barra da Tijuca, and has another suspension bridge to get it across the Lagoa de Jacarepaguá in Barra. It travels 39 kilometers, passing through 46 stations, through Madureira and Penha and out to the Ilha do Fundão and finally across the bay to Ilha do Governador and the airport. 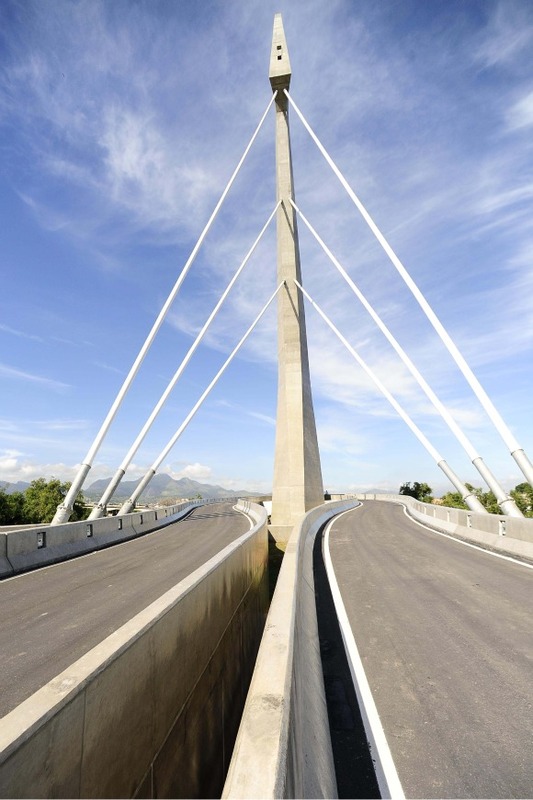 There are other bridges, like the new Metro bridge which is now part of the overpass complex at the end of the Av. Presidente Vargas known as the Trevo das Forças Armadas. The structure is rather impressive, what I believe they call a “Trussed Arch” bridge, and nicely illuminated at night. A few dozen meters down the Presidente Vargas there is a footbridge that mirrors the arch design. My personal dream is to see a bridge over the Lagoa. WHAT! You say, as all true Cariocas cry in horror. Not one of these showy bridges, a low-key but beautifully designed bridge, to add and not detract from the natural beauty of the Lagoa. And think of the extra benefits. Who has seen the view from the center of the lake? (it would have pedestrian and bike tracks). And what about the birds, that have nowhere to nest at the moment. The bridge pilings could be on small natural rock islands for the sea birds. It is a major challenge for our architects and bridge builders – something that would be both environmentally and esthetically friendly and attractive, and practical from the point of view of Lagoa-Barra traffic. ← Have you ever been to Vidigal? Chris, if you get a picture of the “Ponte do Saber” from the angle of those coming from town or going into town, it looks exactly like what we Americans call a “gam” or a very shapely leg pointed skyward. As a result, I call the bridge “Betty Grable” which shows my age.